Hi, my name is Oleh Movchan. I know it's hard to pronounce but it's the only name that I have. 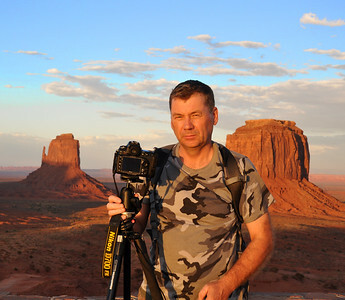 I am 60 years old photographer from Ukraine. For the last 20 years I have been leaving in Chicago Metropolitan Area. My passion is landscape, travel and urban photography. I am doing photography for pleasure because it helps me to escape daily routine but most importantly - to learn about the deep secrets of the Universe. I believe that the main reason of human existence is to see the world with your own eyes and to pass that information to universal spirit. Photography helps me to discover the beautiful diversity of our world and share it with others.